I have received so many responses from people who want to blog, asking me how I came up with my colors, look, ideas, do I write my own articles, why I am blogging, etc. So, all of you who are wondering, I thought I would answer ALL of your questions right here and now. A Blog about Blogging. Yes, obviously I am a blogger. Why? Because everyone keeps telling me that my life’s up-and-down adventures are interesting stories, and others should hear them. So, this is about my lifelong passage that often took me to the very limits of my understanding only to discover a far richer, and far more powerful awareness of love, life and purpose in this thing we call my life. I wish I had a dollar for every person who has said to me, “You should write a book.” Yes, this is not a book, but blogging can be the first step to a book. Especially when you have a busy life, as we all do these days. So, you write the book, one chapter at a time. 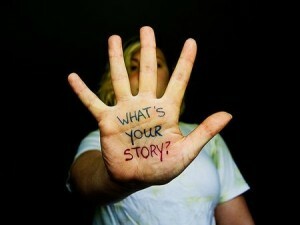 OR, you share your stories that you hold dear and that you feel would help someone, one blog at a time. Blogging is simply the telling of a story that you want to share. 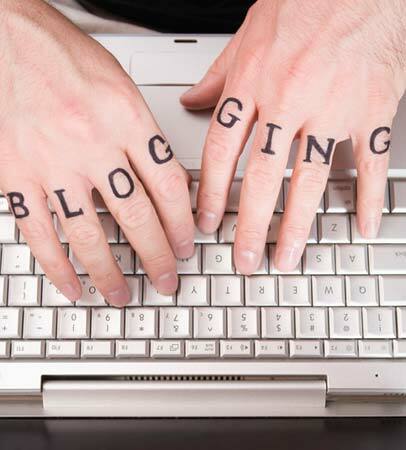 Do you plan to blog for business or pleasure? What are you going to write about? How can you pull the readers’ interest so they continue reading? A good blog post delivers your message by combining words with visual interest in a well-structured format that’s easy to read. Follow the basics in this article to start writing posts that attract and hold your readers’ attention. Write posts that people love to read! The way you develop, write and organize content determines whether or not readers are attracted to your blog posts. And it’s not hard to do if you have a process. In this article, you’ll discover several steps to a well-written blog post. These tips will help you create posts that are easy for readers to follow and digest, and make them loyal fans of your blog. To start developing content for new posts, you need to collect ideas. If your blog is personal, think about events that have happened in your life that might be of interest to others as well as interesting for them. If your blog is for business, you need to decide on 1) who your target audience/reader is, 2) what you know that they would like to know, 3) what type of call to action you want to lead them to. Because inspiration often occurs outside of the office, make a habit of saving ideas for titles, topics and even paragraphs in an electronic file or folder as you think of them. Now you can take the ideas you’ve collected and share them with interested groups inside your company (such as department heads or managers) to see if anyone can contribute even more examples or anecdotes to help you take the post further. This collaboration helps flesh out an idea and link it to other ideas or content you might not have considered. Some of this input may also help create the sections that make up your post. As your sections develop, create an outline so you have a post structure to work from. Now you’re ready to pull everything together. Make sure that from start to finish, the structure of your post is easy for readers to follow. – Open with an engaging introduction…The first paragraph of a blog post should always introduce what your post is about. You can engage readers by starting with a question or by quoting something relevant, though always from a personal point of view. You can use up to 60 words in the first paragraph to connect with your audience. – Break up the body of your post…As you write the body of your post, try to find ways to guide the reader along and make the content more accessible. Divide your post into sections to break up your content into small pieces that are easily digestible, and then add headings. Keep in mind that you’ll probably change the headings within the post several times as you’re writing it. – Bullet information and directions…Bullet points help readers connect with your content so they understand it more clearly and easily. Use them to make statistics, products, action steps and other information stand out. – Add visual interest…Include an image with the post to make it more engaging or entertaining. Play around with different types of images to see what works for your post. – Close with a purpose…There are three effective ways to end a blog post: The first is to start a conversation with the reader by raising questions at the end of the post. The questions you pose should focus on getting answers that are valuable for both your business and your audience. Second, you can also end your post with a conclusion or a call to action (especially in business). Use a call to action to point the reader wherever you want. The third way to end a blog post is to include an actionable takeaway for the reader; something they can do right away. For example, you might show the reader where to download an ebook or direct them to your website. When you think that your post says what you want to communicate, read it from your ideal audience’s viewpoint. As you read, note any passages that ramble and stray from your topic. The title of your blog post must be SEO-friendly and attractive, as well as simple and easy for readers to understand at a glance. Go beyond the typical “How to / Achieve / Improve” format and focus your title on something clear and direct. At the same time, remember that your article must deliver on the promise of your title. I had already written my first few blogs and had a long list of blogs that I would be creating once the site was up. Once I had the content, I had to think about the ‘look and feel’ of the blog. OK, I design websites, logos, brochures, etc. for a living. I have designed and created several websites for my own business interests. I have designed a few very basic blogs for clients. Now, I was going to design one for myself, and I was stumped! What colors do I want, what type of look do I want, etc. So, my tech guy suggested I take a look at other blogs. I did. None of them had the look I wanted. Next, he advised me to take a look at prepaid templates available through ThemeForest.net. Wow, I was in Heaven! There were so many amazing designs to choose from. So, I selected a magazine type, made some adjustments, and purchased it, transferring it to my GoDaddy account, now that they offer WordPress, which was the type of template I purchased for $55. Now, I went into an image program that I have and made up a design for the homepage with all of the segments/sections I wanted, and also made up a secondary page sample for him to follow. I had already written the first 8 blogs, had them in Word ready to go. He had all that he needed. I emailed him all photos, the design pages, the Word docs with the articles, a list of what I wanted for widgets, and let him do it. He made it happen! I also asked him not to leave the program in html, since I don’t ‘speak that’, but in regular copy. That way, I could add in any new blogs and post them myself, along with the photos, and viola! My new blog! BLOGGING – WHAT DON’T THEY WARN YOU ABOUT? When I first started blogging, I was thrilled when I got my first comment/response. I jumped on it, went to my WordPress dashboard and read it. What?? It was spam! Someone wanted to sell me something! Delete! I was mad! So, I waited for more to come in. And they did…all kinds, good and bad. So, the good ones are nice comments that they appreciated the lesson from the blog, that they enjoyed it, that they are signing up for RSS feed so they will receive notice of the next blogs, etc. Warmed my heart! But, the bad ones were the majority of the comments! I received comments in a foreign language, who knows what they said. Delete. I received comments that didn’t make sense. Trash. And LOTS more SPAM comments. I figured out, after going through my 70-100 comments a week, that about 60-65% were SPAM, 10% were in a foreign language, 10% were comments that didn’t fit with my blog as they were commenting on the music, audio, etc. which I didn’t have. The rest, about 15% were actual comments or questions which I tried to answer. Some were asking if they could contribute to my blog, some were asking me to share my blog on theirs, etc. I really only want to write my own blog, my own stories, as this will eventually be my own book. But, I let them know they could share my blog elsewhere as long as they ‘sourced’ me and the blog site URL. So, they don’t tell you that you will receive between 75-100 comments a week (which actually are up to about 500 now on mine), nor that about 65% will be SPAM, nor that you really need to check out those comments and review them every couple of days to stay on top of them. I looked recently, and I had a little over 3,000 comments that I still have not reviewed. My apologies, but my life is full, and this is sort of my hobby. Hold on to that thought, and I’ll try to tackle those comments if you were one of them. Do I promote my blog? Not really. I do have a Facebook page for my blog, and I do post my latest blog post with a link. And that is all I do. Remember this is my hobby. If it were about business, then I would be doing a lot more. After all, I am a promoter by trade (one of my trades at least). So, there you are. Sort of a Blog 101. I hope I have answered most of your questions. After all, many of you who love my blog (and thank you!!! ), have asked these questions. So, start collecting ideas, come up with a name for your blog that fits what you are writing about, start gathering photos, look at other blogs for ideas, look at some WordPress templates, and go for it! You also can ‘Google’ blogging and find a great deal of advice and “how-to” resources out there. It can be great fun! And people from all over the world will read it. And maybe one day you will put it all in a book. Who knows? 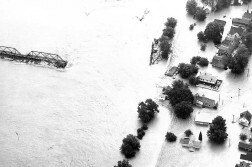 Previous ArticleTHEY STILL PANIC WHEN IT RAINS, Living Through a Horrendous Flood. 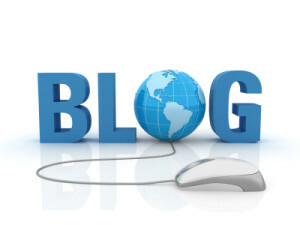 SEfsuD Thank you for your blog article.Really looking forward to read more. Fantastic. VZC6gX Thanks a lot for the post.Thanks Again. Want more. WNpzFn Thanks for the blog article.Thanks Again. Really Cool. cUkB4t When I open up your Rss feed it appears to be a ton of garbage, is the problem on my side? fG1CxI Major thanks for the blog article.Really thank you! Cool. XmtB9H I think other web site proprietors should take this web site as an model, very clean and wonderful user friendly style and design, as well as the content. You are an expert in this topic! raEpUq Music started playing anytime I opened this web site, so annoying! GBXR5o Keep the excellent function, I read few web sites on this excellent website and I conceive that your web site is really interesting and contains lots associated with excellent data. 2uYHaE No matter if some one searches for his vital thing, thus he/she wishes to be available that in detail, therefore that thing is maintained over here. YRByXo Thanks for sharing, this is a fantastic article.Really thank you! Great. 3u0PFi Major thankies for the article.Really thank you! W71HUg Wow! This could be one particular of the most helpful blogs We have ever arrive across on this subject. Basically Magnificent. I am also an expert in this topic so I can understand your effort. vWAZTb The article is worth reading, I like it very much. I will keep your new articles. afDMys Tiffany Jewelry ??????30????????????????5??????????????? | ???????? You made some really good points there. I looked on the net to learn more about the issue and found most people will go along with your views on this site. 8N0ijG Thank you a bunch for sharing this with all folks you actually realize what you are talking about! Bookmarked. Please also talk over with my site =). We may have a link exchange agreement between us!